Nikon has finally introduced the new D7500 mid-range DSLR, which shares almost the same DNA as its D7200 predecessor, but comes loaded with a lot of features from the more expensive D500. The latest D7500 uses the same 20.9 APS-C sensor, Expeed 5 processor, and 180K-pixel RGB metering sensor as the D500, with an ISO range of 100 to 51200 that is expandable to 50 to 1.64 million. It also has the Auto AF Fine Tuner feature that allows users to automatically calibrate autofocus with specific lenses when in Live View. 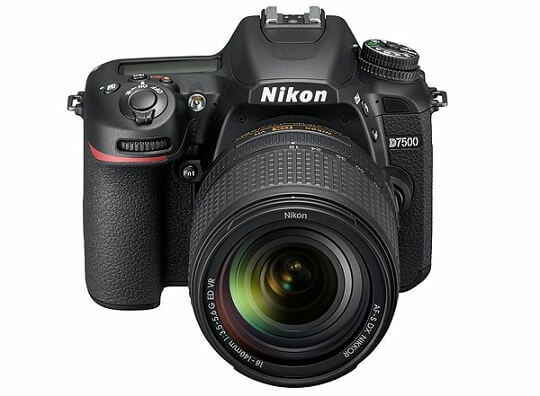 Its body is similar to the D7200, but it is 5 percent lighter and now has a deeper grip. It is also now capable of capturing 4K UHD videos at 30fps and 4K UHD time-lapse movies in camera mode, as well as shoot at up to 8fps with full AF/AE and take up to 50 (14-bit lossless compressed) RAWs or 100 JPEG images in a single burst. Moreover, it now has a 3.2-inch tilting and touchscreen display and uses the SnapBridge wireless system with built-in Bluetooth and Wi-Fi. The new Nikon D7500 is priced at USD1,240 (or about Php61.8K) for the body only and USD1,749 (or about Php86.5K) for the one with an 18-1400mm f/3.5-5.6G ED VR lens kit.